Over the more recent years, any kind of gift for the home or interiors related has become my favourite kind of gift to give and receive (ahem……hint, hint Santa). 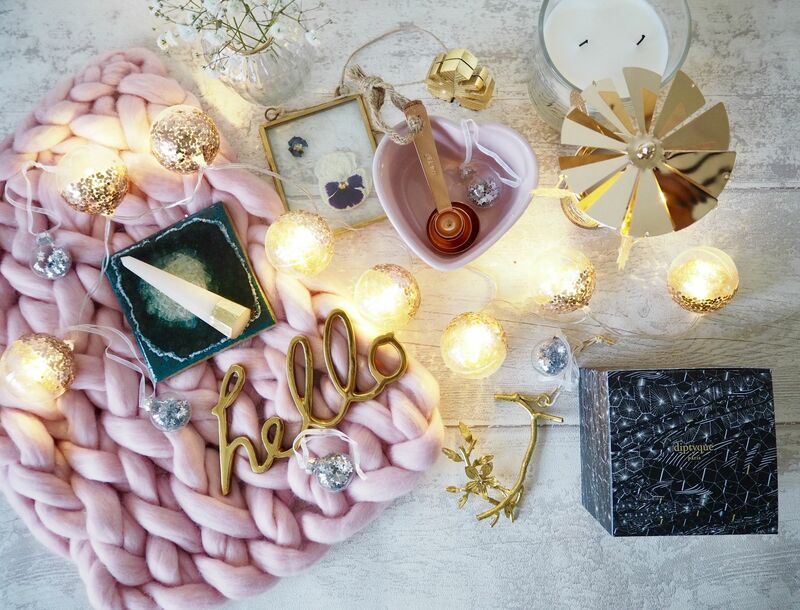 I don’t know about you, but I’m not quite there yet with completing my Christmas shopping and so in case you’re like me, I thought I’d share an interiors and home ware gift guide with you all for those interiors lovers. I have to admit I’ve really enjoyed putting this post together. The combination of millennial pink and gold was unintentional but I kinda love it! If you’re on a mission to get an interiors gift someone will treasure, you can’t really go wrong by heading to Anthropolgie or Oliver Bonas. I guarantee you, there will be an abundance of gorgeous gifts to choose from. You can add a more personal touch with a monogram ornament from Anthropologie which I love and think will look lovely all year round as will anything from their Agate collection. They also do amazing kitchen ware with some of the best mugs and bake ware! Talking of mugs, Oliver Bonas has a very cute cat offering and I really want to get the matching cat candles, they look and smell gorgeous. For lovely little stocking fillers, the crystal ring holders and photo holders are great. Aldi is a great source for homeware gifts too. People are always a little surprised when I say this, but seriously there are some great finds to be had there and many are available online. My top picks would be the Jo Malone-esque candles and reed diffusers which I love and everyone has been going rushing to purchase, not to mention that lamp that had people queuing up. Their stand mixer has so many attachments which makes it great value and a worthy alternative to a Kitchen Aid mixer if your budget doesn’t quite stretch that far and the marble serving boards will look gorgeous and come in oh so handy on Christmas Day. TK Maxx and Home Sense have a huge range of homeware and my favourite bit….they do Le Creuset stoneware and bakeware at bargainous prices!! H&M has so many gorgeous gifts to help create that dream interior from candles, glassware (the vases are beautiful!) to cushions and decorations. Sass & Belle are great for adorable things for the house especially if you’re looking for something more vintage or retro. I was gifted these copper measuring spoons from there and I love them. The bento boxes and lunch bags are super cute great for a secret Santa gift. Hema a homeware store from Holland is simply amazing and I really recommend a visit. There is gorgeous kitchenware, quirky things for the home such as letter boards and they do the best stationary, all at a price that’s really reasonable. If you’re after a luxury candle then The White Company, Jo Malone and of course Diptyque all have perfect gift offerings. 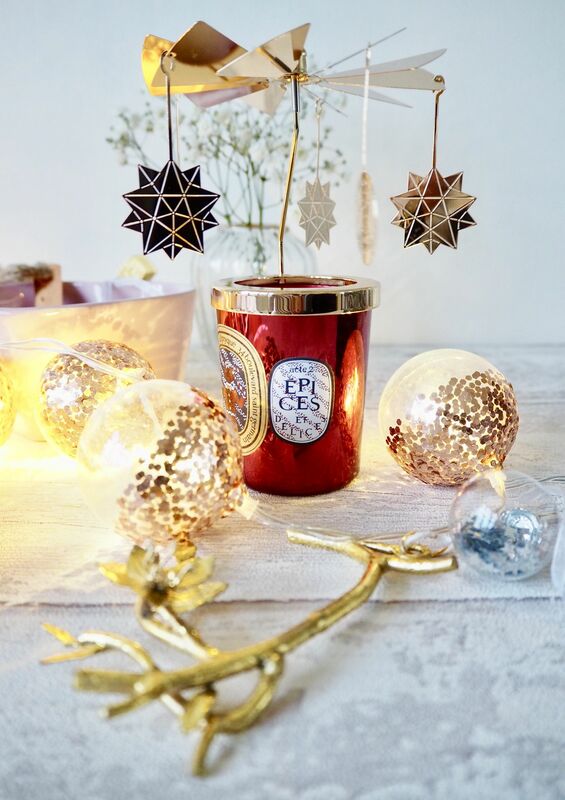 The Diptyque Constellation Christmas range is my favourite. So beautiful as is their constellation carousel. This has sold out online but you may be lucky to find the odd one in stores like I was. My top candle pick from Jo Malone would have to be the Pine and Eucalyptus candle, it makes you feel so Christmassy, like you’re in a forest full of Christmas Trees. With The White Company there is just so much choice. The botanical candles make a lovely and striking gift. I love the brass letter collection from West Elm, they give any home a really welcoming touch and they’re on special offer so hurry! Their table ware is always so pretty too and I have my eye on this Shine Brightly mug. For a homeware gift that’s truly unique handmade ceramics by May at Transience Studio may be just the thing. Stockists are listed here. 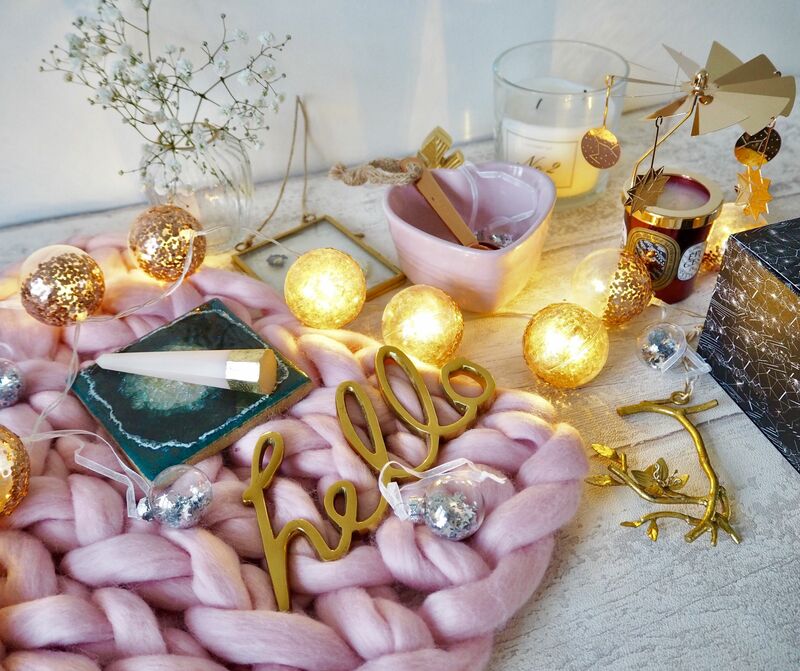 Hand made blankets or Instagram squares by Pomme Pomme are a must have in my opinion. Unfortunately the Christmas deadline passed a couple days ago but I’d be over the moon to receive one of these as Winter or New Year gift and that way you get to extend the Christmas feels!